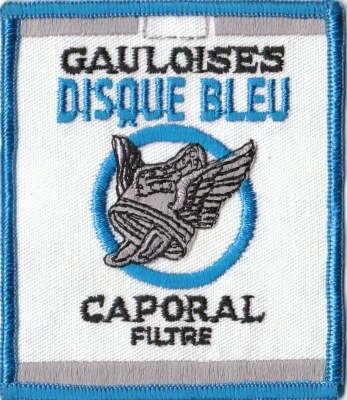 Vintage Gauloises Disque Blue Sew-On Patch ca. 1976. 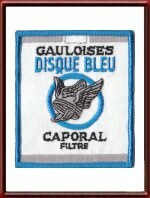 It measures approximately 7.5 x 9 cm or 3 x 3.5 inches.